One of Piedmont’s famous DOCG zones, Gavi di Gavi at its best is a tight, bright, aromatic white wine primed to be an elevated alternative to Pinot Grigio at your table. 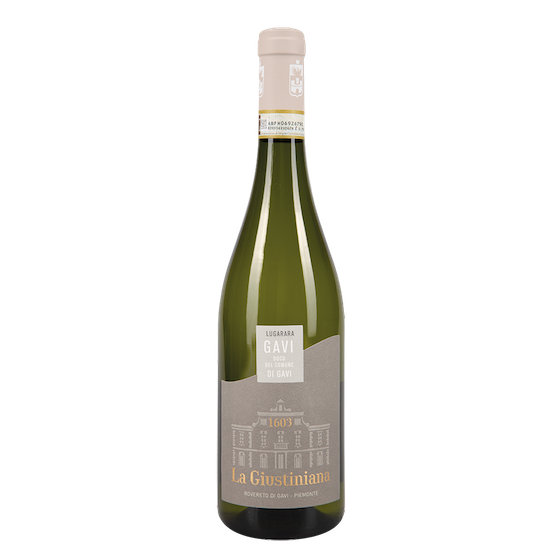 La Giustiniana is, without a doubt, an elite Gavi expert. This is a texural wine made entirely of hand-harvested Cortese from the region’s best vineyards. The calcareous soil renders an elegant expression of the grape, and a long, cool fermentation in stainless steel draws out bright herbal notes that linger on the finish. The pronounced acidity and refined profile of anise, green apple, and almond make this dry white a versatile accompaniment for many meals. It shines with fish and light pastas, or sipped as an aperitif.